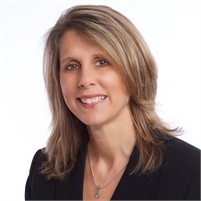 Angie Curtis CFP®, a Financial Consultant with Lifestages Financial Services, brings over 20 years of experience working with individuals primarily in the area of Financial and Retirement Planning. She is committed to establishing a solid relationship with her clients and providing quality financial strategies. Her primary focus over the years is quality service built on ethical financial advice. Angie is a CERTIFIED FINANCIAL PLANNER™ and has met rigorous education, exam experience and ethics requirements to obtain these qualifications. She earned a Bachelor’s Degree from Wright State University with a focus on Financial Planning, and holds a Series 7 and 63 registrations through LPL Financial and also has her Life, Accident and Health Insurance Licenses.